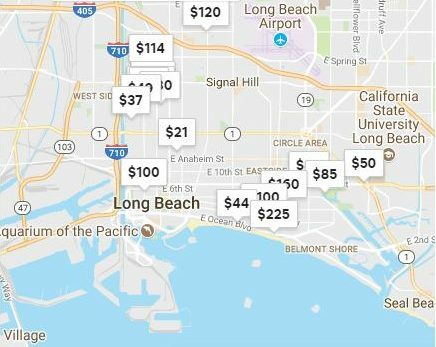 After more than a year of debate over short-term rentals, city officials moved Tuesday toward enacting regulations that include requiring that hosts live in Long Beach. The law put into place by the City Council also limits hosts to having two non-primary residence units, and requires hosts to maintain $1 million in property liability insurance and register with the city, which will collect a transient occupancy tax of 12 percent on guest stays, much like it does with hotels in the city. Short-term rentals are currently illegal in the city, yet there are over 1,500 active listings on sites such as Airbnb. Tuesday’s vote, and the forthcoming ordinance, will legalize the practice and allow residents to list their properties. Dozens of residents and short-term rental hosts filled the council chambers Tuesday night to speak about the issue. The group included a number of Airbnb hosts who said that the listing of their rooms, or entire homes, served as supplemental income that they used to make mortgage payments and afford childcare, among other things. Many asked the council to reduce the proposed 12 percent tax to be charged to hosts and pushed for a less stringent option that wouldn’t require hosts to reside in the city. The city has already earmarked short-term rental revenue as a means to offset projected budget deficit in the coming fiscal year, but city staff pointed out that any amendment to the transient occupancy tax would have to be made by a voter initiative. Others turned out to speak against allowing short-term rentals at all, saying that it would only further the city’s housing shortage as units that could otherwise be rented long-term are potentially converted to vacation space for visitors from out of town. During the hours-long discussion, many council members made amendments for the city attorney’s office to consider when drafting the ordinance that will come back to the council for a future vote. Among the proposed changes is a sliding scale of what concentration of short-term rentals can exist in a given building. City staff recommended a mark of 25 percent or up to six non-primary residence units of some larger capacity buildings in the city. The council agreed to lower that mark to 10 percent of the units in a building and asked that the number of non-primary residences being rented out as short-term rentals not eclipse the one percent mark of the housing stock available citywide. An option to potentially ban short-term rentals from certain parts of the city could also exist in the coming ordinance. Councilwoman Suzie Price, who represents the Belmont Shore area, asked for a provision that would allow neighbors to petition to ban rentals; Councilwoman Stacy Mungo, who represents East Long Beach, asked that a process to exclude “problem hosts” rather than entire communities be considered. The ordinance will likely be a work in progress as changes could be again suggested once the draft ordinance is returned to the council for consideration. The council also requested that an update be scheduled for October 2019 to evaluate the impact of the policies on the city and its short-term rental community.